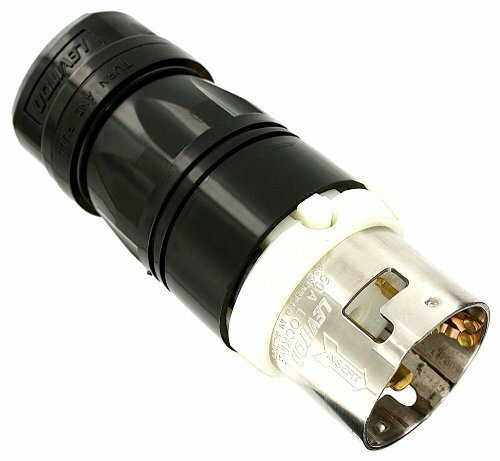 With the Leviton CS8365C black/white locking plug, there is no need to worry about damage from impacts, sunlight, and chemicals. The model has a rugged construction that is designed to last for years. This 3pole, 4wire locking plug features an ergonomic, flutedbody design which makes it perfect for gripping and pulling. There are inlets, connectors, and receptacles available for this model.